Is Your Classroom Furniture Conducive To Learning? School furniture has evolved to accommodate comfort, structural strength and easy configuration for students and teachers. Early American classrooms consisted of three-legged stools or benches for chairs and long narrow tables made by parents. In the 1880’s tables were bolted to the floor. Boys sat on one side of the room while girls sat on the other. In the 1960’s round tables were introduced and students worked collectively. Today, versatility is key when arranging your classroom. Students can work any number of ways including on computers, in small groups, in large groups or set up facing forward in a lecture position. Knowing that student’s health and well-being is a priority should be a strong consideration when setting up your school classroom. Comfort coincides with learning and size does matter. The thought of having one size fits all chairs and desks is a thing of the past, and age and height considerations should be recognized when selecting classroom furniture. This means that desks and chairs should fit the size of the children. Desks should be at the right height where students can sit up straight while their feet rest flat on the floor. Kids sit on their chairs for up to 7 hours every day. That’s over 1000 hours in a school year. 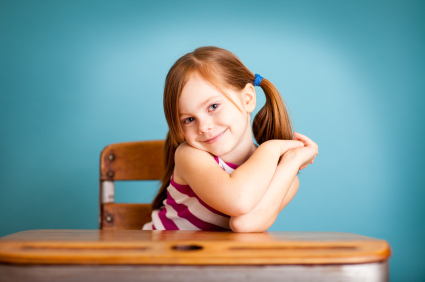 Furniture in the classroom needs to be sturdy and easy to clean. Quality furniture gives students the feeling of ownership and clean furniture will help to discourage students from writing graffiti. Teaching styles have changed over time and instead of teachers lecturing from the front of the classroom with all eyes on him, teachers are now focusing on different medium to provide mobile ways of learning. Studies conclude that mobility helps with focus. Furniture which is easy to arrange into an array of configurations will help a constantly changing classroom environment. Students should be able to easily move from individual work to group work and not be confined to one spot.